Srinagar, Jan 21 (KNS): As the Prime Minister Narendra Modi is scheduled to lay foundation stone or inaugurate projects worth Rs 35,000 crore in Jammu and Rs 9,000 crore in Kashmir on February 03, the mainstream political parties on Monday termed the share allotted to Kashmir as an open discrimination with the people of the Valley, saying that the people of Jammu are entitled to see development but at the same time Kashmir must not be ignored. Talking to Kashmir News Service (KNS), National Conference (NC) General Secretary, Ali Muhammad Sagar said that it is an open discrimination with the people of Kashmir. “Though these projects were announced during the tenure of Late Mufti Muhammad Sayeed led government in the State, but the Kashmir region has been ignored as it has got just a few crores out of Rs 80,000 crores for the projects and other things,” he said. He added that NC is not against the development of Jammu region as the people there are entitled to get these projects but at the same time Kashmir region must not be ignored. “We have already raised our concern in this regard in the assembly. We want every development must be impartial not biased,” he added. 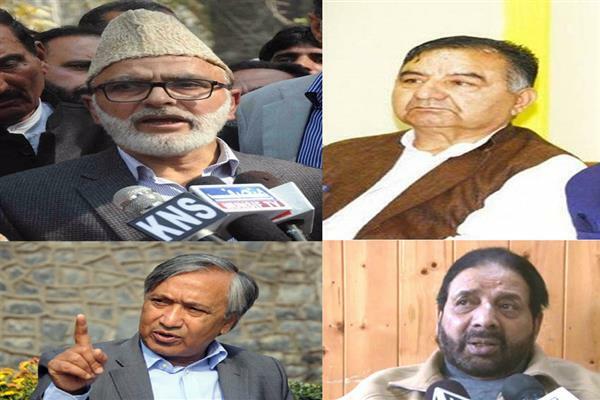 Furthermore, Jammu and Kashmir Pradesh Congress Committee (JKPCC) Vice Chairman, G N Monga told Kashmir News Service (KNS) it exhibits the hollow promises on equal development by the BJP led government. CPI (M) leader, Muhammad Yousuf Tarigami said that this is the gimmick for the people of Jammu. “The promises done with the people in 2014 are concluding ahead of the general elections. Though the people of Jammu are dissatisfied with BJP but they (BJP) are trying to send a message to the Jammuties that we care for them, which is a gimmick,” he said. He added that it is unfortunate that PDP-BJP government was making hue and cry, claiming they have got big packages for Jammu, Kashmir and Ladakh, but the fact remains that most of it is not visible anywhere either in Jammu, Kashmir or Ladakh. “Whatever the announcements were made by PM Modi in the rally which was held under the chairmanship of Late Mufti Muhammad Sayeed are nowhere, even we don’t know about the details of Rs 80,000 crores because they (the erstwhile government) didn’t convene assembly sessions properly wherein these issues could have been debated. Therefore, I believe these things are being done just to keep an eye on the coming general elections,” he said. He added that BJP is playing the card of Jammu vs Kashmir again exhibiting they are favouring Jammu. He also added that Kashmir has already been neglected as it the sufferings of Kashmiris don’t matter for them. Peoples Democratic Front (PDF) chairman, Hakeem Muhammad Yaseen told KNS that it’s the visible discrimination with the people of Kashmir. “We have been telling from the very beginning but unfortunately, those who put forth agenda of alliance kept our concern behind the curtains,” he said.